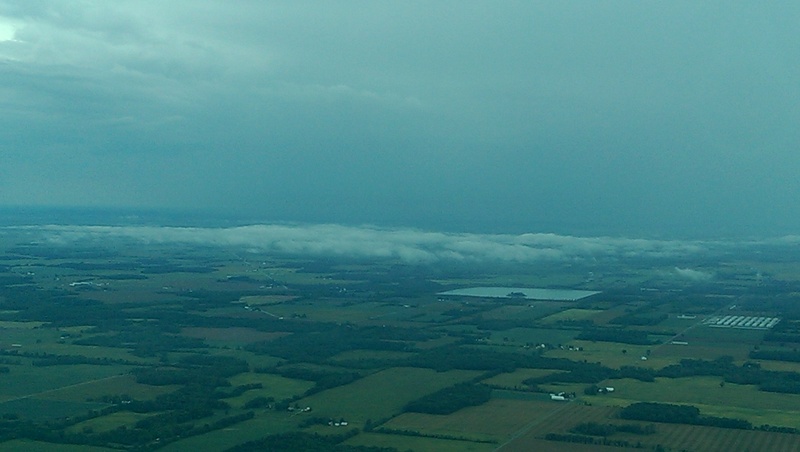 Travelling in a small plane is sometimes an adventure, mainly because weather plays such a large role in both timing of a trip and whether you can fly at all. 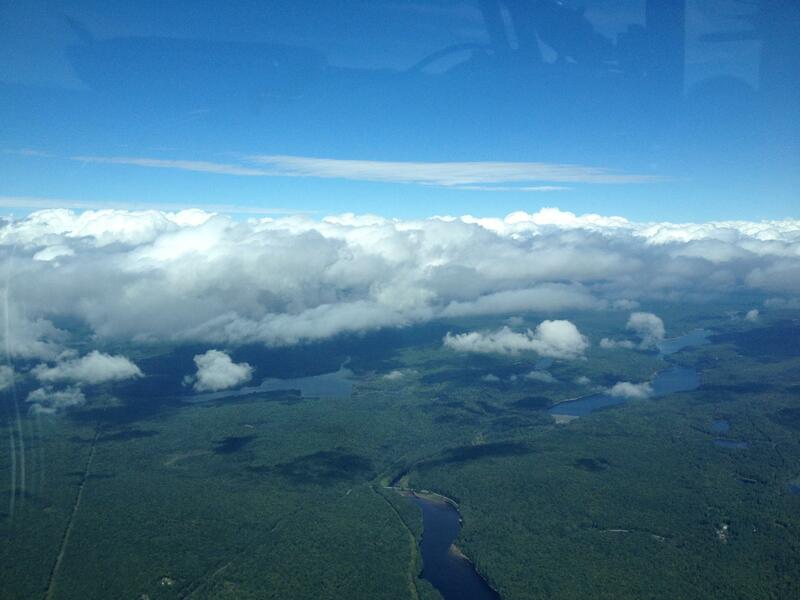 Last weekend, we planned to fly to Montgomery, New York and back on Saturday. Unfortunately, a storm front was dithering its way in from the west. Would we be able to fly? If so, when? The Engineer checked radar and weather repeatedly throughout the week, finally making the call Friday afternoon. I arrived home from a bike ride to find him packed, ready to leave to pre-flight the plane while I showered and packed. Within an hour we were eastbound. Within two, the rolling forests of Pennsylvania spread before us like a rumpled carpet. This might be a good place to explain why we were flying to Montgomery, a place neither of us had ever been or heard of before planning this trip. You see, though we bought our plane from a dealer in New Jersey, it was previously based in Maine, where a guy named Bob happened to see it. Bob, a model plane builder, wanted to build a Cessna 182, so he snapped a few photos. When he began working on his plane few years later, he looked up our plane’s tail number on the FAA website and sent The Engineer a letter asking whether we’d mind our tail number and paint scheme on being used on the model. We were happy to agree, enjoying the idea of a little version of our plane flying around New England, and Bob kept in touch, sending occasional updates on his progress. Fast forward to earlier this year when Bob wrote to say he was getting out of the model hobby. 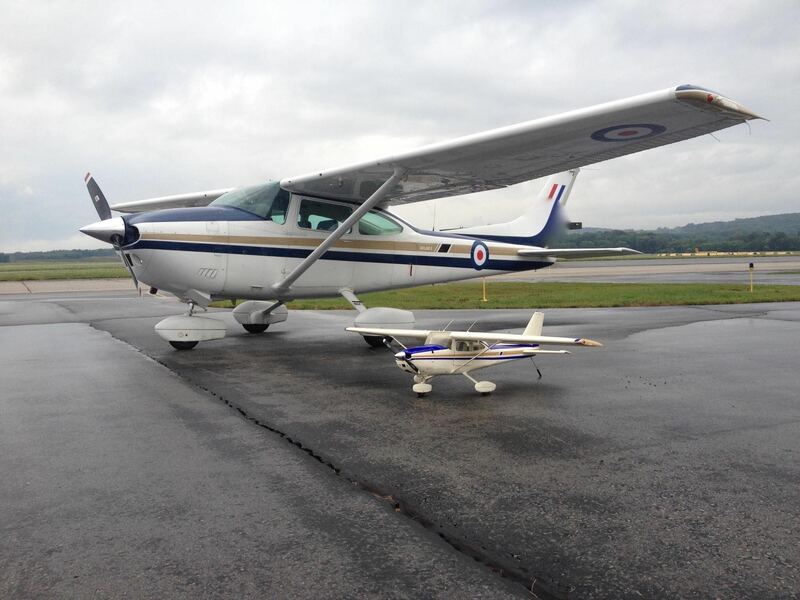 Did we want to buy the little Cessna, a plane we already affectionately referred to as “Mini-me”? 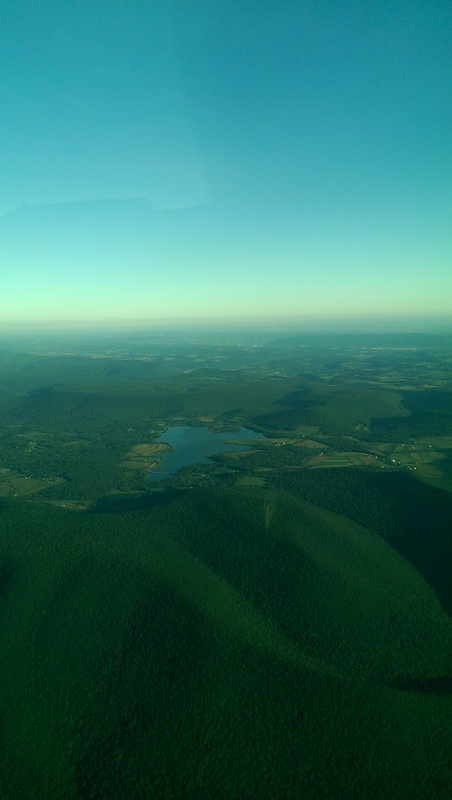 We decided to meet in Montgomery, a three-hour flight for us and a three-hour drive from Bob’s home in Connecticut. With our usual impeccable timing, we managed to arrive the night before “General Montgomery Day,” an affair that appeared to be the Montgomery event of the year. Within five minutes of landing, the airport manager warned us the parade was staged from the airport, and the roads would be blocked off until noon. Not a problem. Bob and his wife were meeting us at noon, so that would work just fine. The same manager helped us snag the last hotel room at the Holiday Inn, a hotel that, as it turns out, did not have a shuttle as he previously believed. What the hotel did have was an extremely kind receptionist who came to pick us up in her car, though she made a point of telling us there was a taxi service we should use in the morning. She also told us about the parade as she drove us what seemed to be the long way round to a hotel that was supposed to be just two miles away. The clerk behind the desk told us about the parade too. So did the taxi driver the next morning as he drove us an equally meandering route back to the airport. I assumed this was because of the parade and braced myself for an exorbitant fare at the end of the ride, especially after we were turned back by the police and forced to take a detour because of — you guessed it — the parade. No matter. We pulled in behind Bob and his wife Sherilyn and told the bill was only ten dollars, less than Cleveland taxis charge for a ten minute drive from Hopkins. The weather, however, was not amazing. This resulted in somewhat abbreviated rides for Bob and Sherilyn and a damp photo shoot for Mini-me. It was obvious we wouldn’t be flying home that night. Once again, we found one of the last hotel rooms left in the area, this time in an Econolodge. Afraid of being left with no place to stay, I read the top review and booked the room. Then I read the rest of the comments, which proved much less favorable. As visions of bedbugs and roaches danced in my brain, The Engineer and I loaded our bags into Sherilyn and Bob’s car for the ride to that night’s lodging. After a thirty minute drive to a place six miles away, we were feeling extremely grateful for the lift, and it was finally beginning to dawn on me that this part of New York was like Pittsburgh. The distance to where you’re going doesn’t matter near as much the number of mountains between you and your destination. There were no bedbugs at the motel. No roaches either, at least none I saw. The furnishings were clean, if worn — the word “shabby” comes to mind — and we had a king-size bed, a great advantage when your husband is 6’3″. We ate dinner at Cilantro, an elegant tapas bar not far from our inn. It looked out of place on a main road surrounded by not very much of anything else. I’m not normally a fan of sangria but we drank two carafes with our (delicious!) dinner and then stumbled, I mean walked, back to the Econolodge. By morning, the weather was clearing. The ride home was a bumpy one, flown mostly above the clouds, but it was still pretty. Weather affected our trip the previous weekend as well. On the way to Illinois, we had to swing south, almost to Columbus to avoid the weather that was hanging over northwest Ohio and moving slowly east. This is probably western Ohio or Indiana. 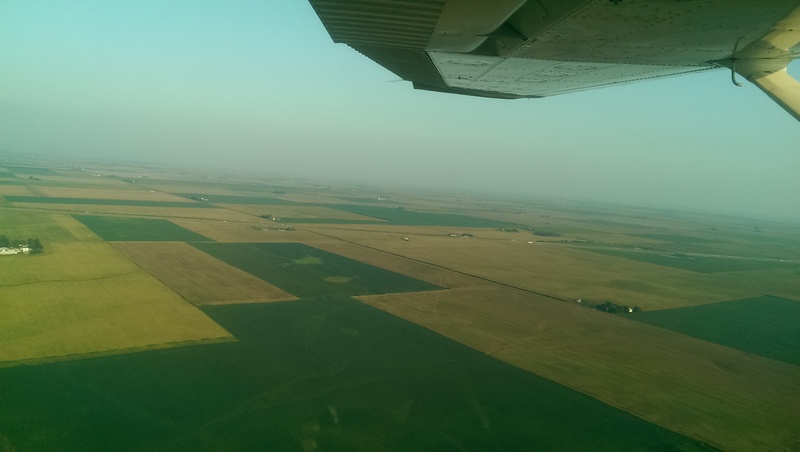 Illinois is mostly corn and bean fields, a mix of green and gold with fewer trees, more like quilt than a carpet. I know the simile is cliché, but it’s apt. 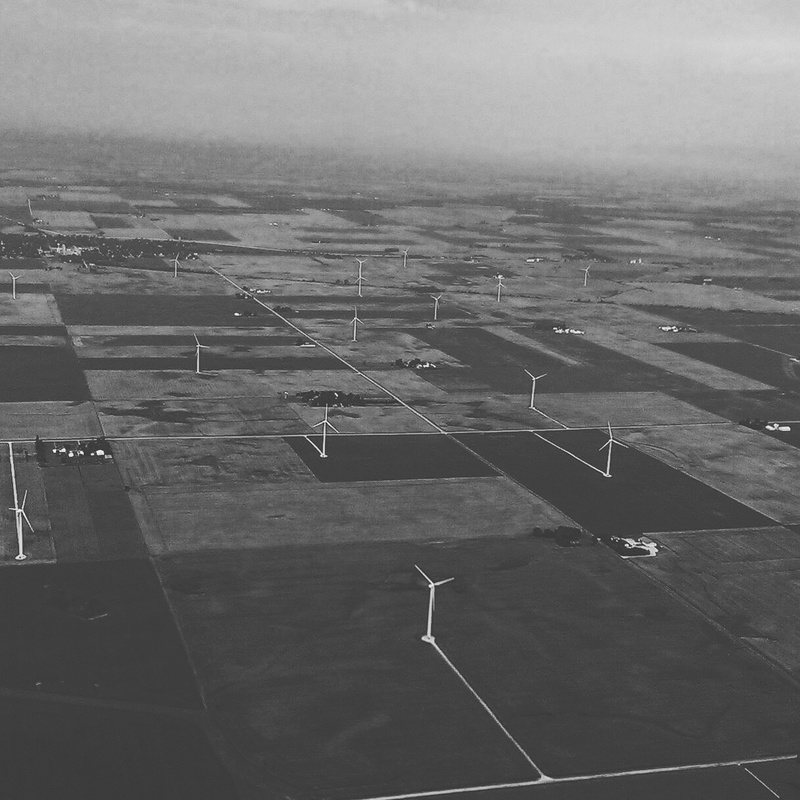 There are lots of wind turbines, miles of them planted among the other crops. I like this picture in black and white, the way the gray tones play up the whiteness of the turbines. It’s incredible to see the country from a small plane, but you have to be willing to go where the wind, or weather, takes you. So, I thought I’d share my top ten list of things to pack. #1 Comfortable shoes. I cannot emphasize this enough. Define “comfortable shoes” as ones that don’t give you blisters even when you walk for miles. Because you will walk for miles. #2 Sunscreen – Wisconsin may not sound like a hot place, but Oshkosh has very little shade. I usually return home looking like I’ve been laying on a beach in Hawaii. Also, I can tell you from experience that if you sit under the wing of a polished aluminum plane, you will get quite a sunburn. Consider yourself warned. #3 Bug spray – The mosquitos aren’t bad every year, but when they’re bad, they’re really bad. #5 A water bottle. Are you sensing a theme here? #6 Your cellphone. At some point, you’re bound to lose whoever came with you. #7 Money. For food. Or souvenirs. Maybe even a t-shirt from the SOS Bros. tent. I’m told men go there for the beer. I’m sure it has nothing to do with the bikini-clad barmaids. I go because I like the food. It has nothing to do with beer or escaping camp for a couple of hours. #8 Earplugs. Only if you’re camping and plan to sleep past 6 am. #9 Your camera (if your phone doesn’t take good photos). 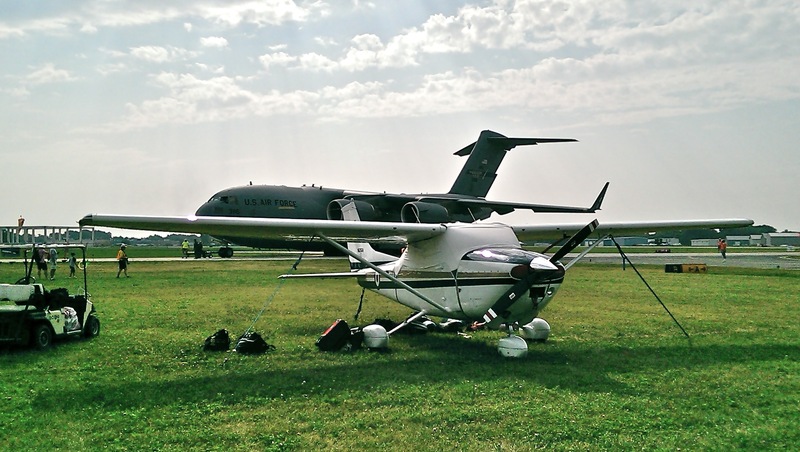 You’ll see planes you never imagined even existed. #10 A sense of humor. Because, well, you know what they say about if you can’t take a joke. If you don’t, read my previous Oshkosh blog, and you’ll understand. Berlin. Germany. 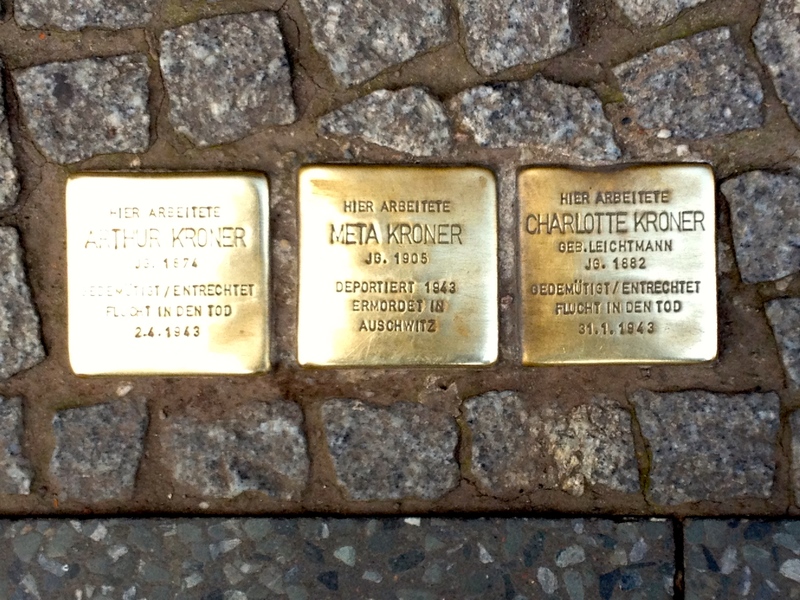 Both place names conjure up visions of World War II and/or the Berlin Wall. 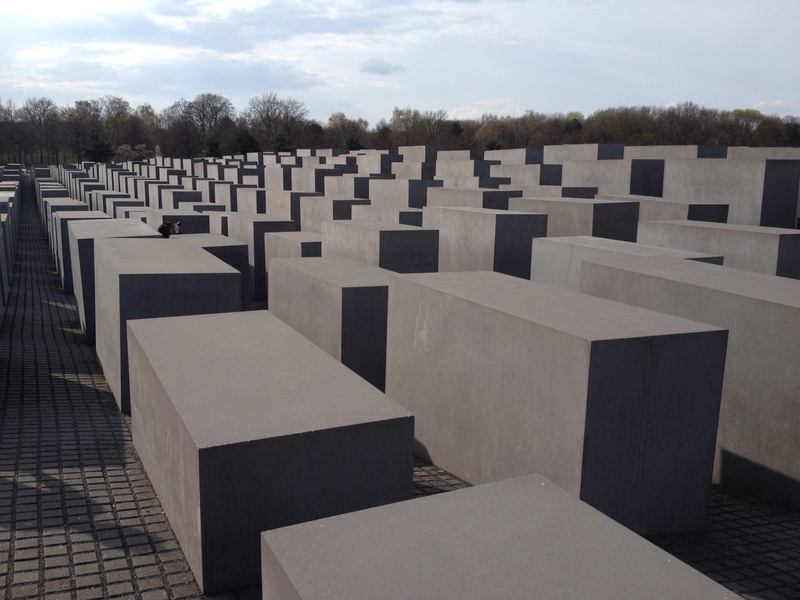 Yet, during our visit, I kept forgetting the city had been the scene of so many tragedies, despite Germany making every effort to help visitors remember. This is weird because when we visit England, I swear I can feel the history beneath my feet. 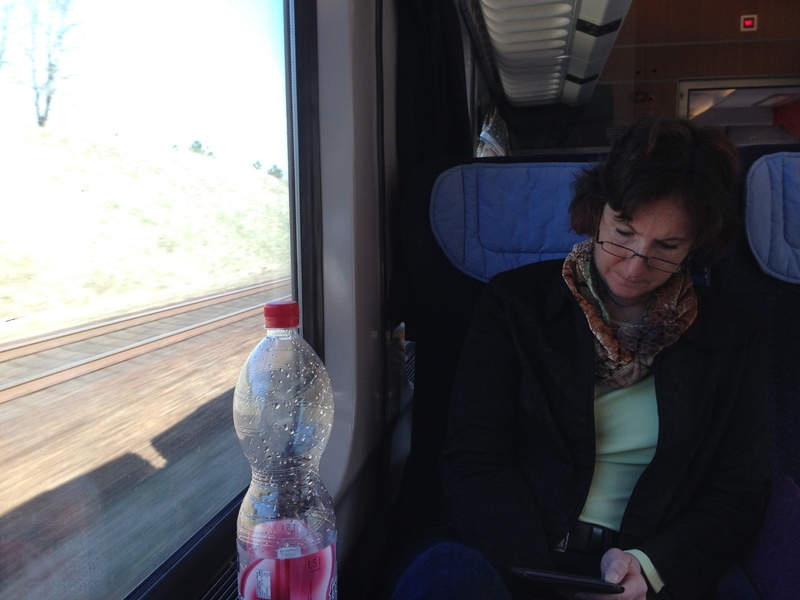 In Berlin, I got … nothing. Or mostly nothing, which bothered me. I should have felt it, should have been overcome, steeped with visions of man’s inhumanity to man. That’s probably why it’s taken so long for me to write this post, which in the end will only share the brief glimpses of when and how I felt flashes of horror. 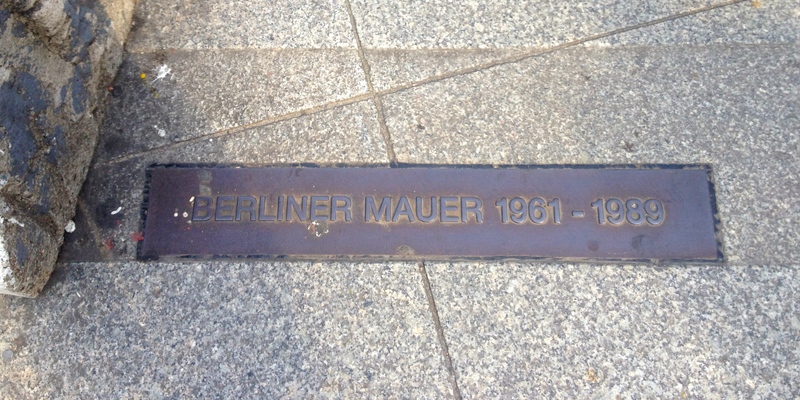 As you probably know, the Berlin Wall, or Berliner Mauer, ran right through the middle of city. I always pictured it as a straight East/West division. It wasn’t. I know this because much of it is demarcated throughout the city, and it was shown on our map. The Wall zigzagged all over the place, cutting across streets and neighborhoods, separating families and friends. If your house happened to have a door or window opening to West Germany, the GDR (East German government) bricked it up. 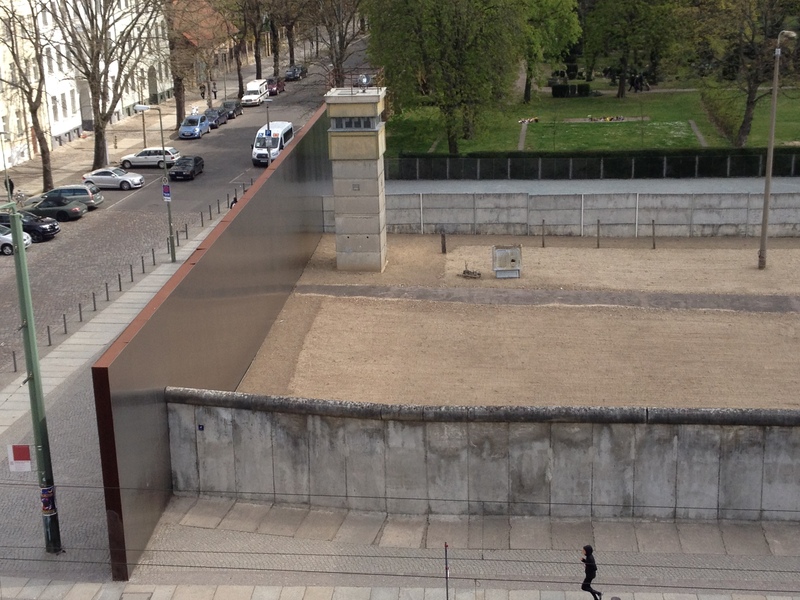 Some East Berlin residents leapt to freedom or death, and in the end, more than 100,000 tried to escape in the years of the wall’s existence. This happened in my lifetime, but I found it hard to picture even when listening to a recitation of the names of those who died. 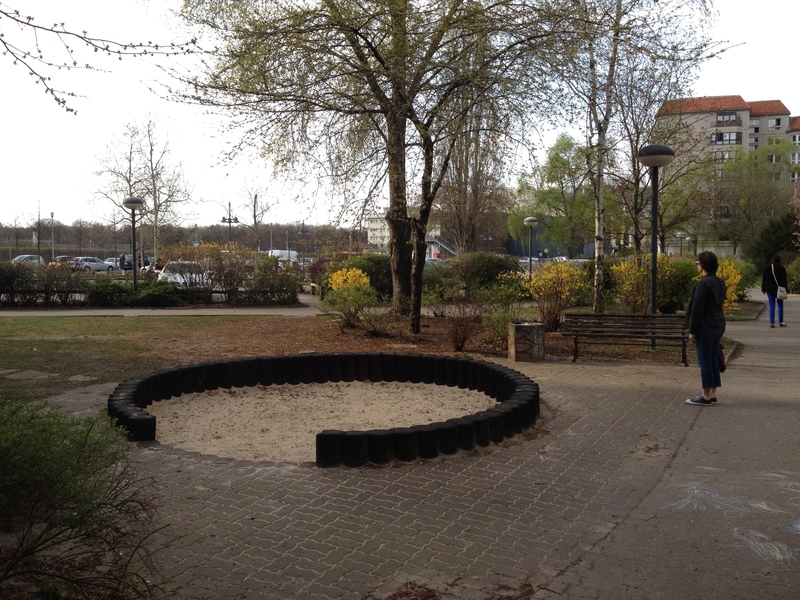 This parking lot, which was built on the site of Hitler’s bunker, is hard to find, a deliberate choice by the German government to prevent it becoming a rallying point. I rather like the idea of oil and gas from non-German cars leaching into his bones. He got off easy, taking the coward’s way out, after orchestrating the senseless death of so many. 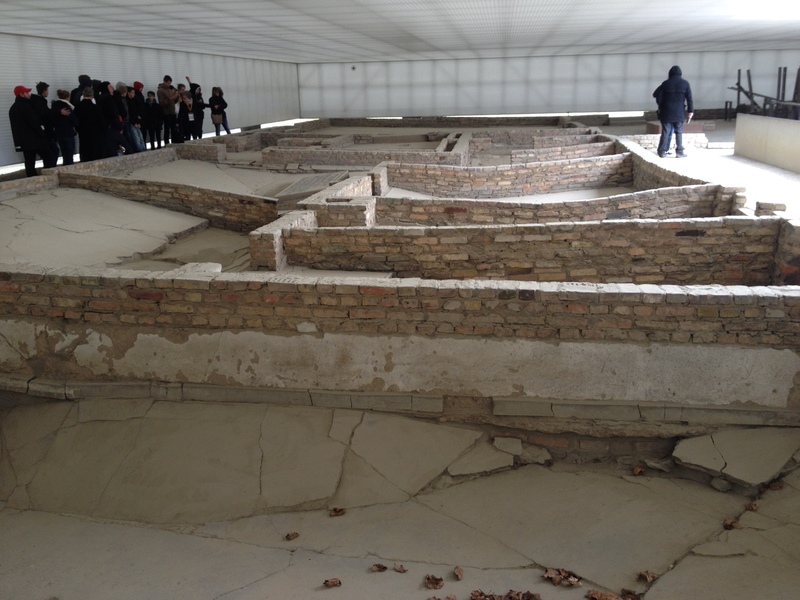 This is the crematorium. The dirt there is quite ashy. 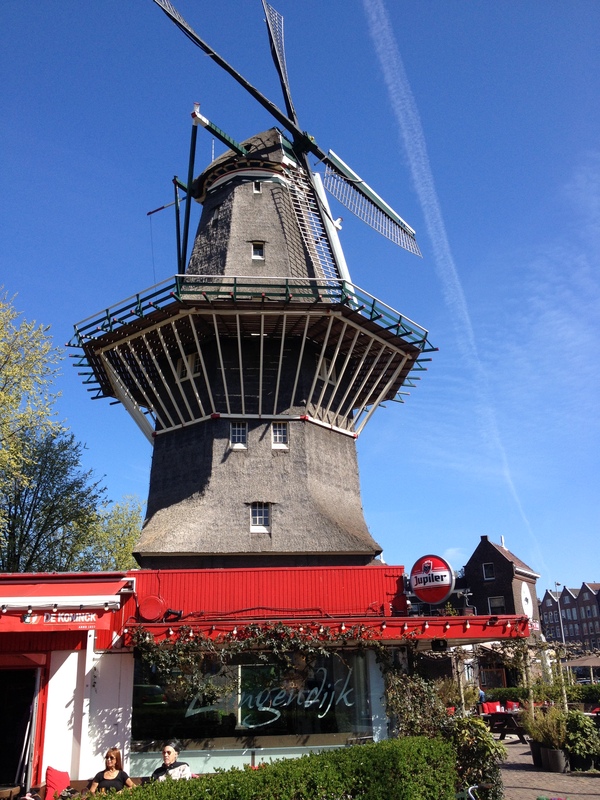 As I mentioned in my previous post, we walked a lot in Berlin and Amsterdam, probably about eight or ten miles a day. I estimate this based on my fitness tracker, which gives me a little explosion of lights when I hit four miles. Since I hit this reward most days before lunch, I feel confident in guessing we probably walked at least twice that much each day. We also used every type of public transportation that you can think of. 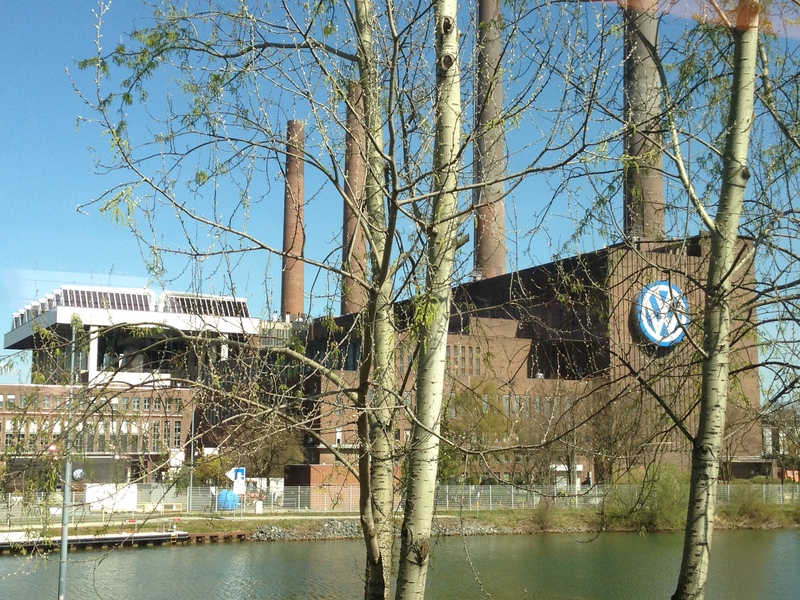 Underground trains, surface trains, intercity trains, ferries, trams, boats, busses and planes all figured in our daily travel, but the closest we came to a car was noting the electric ones plugged in on our street in Amsterdam and passing the VW plant on the way there. There is a piano in the station (Amsterdam Centraal), with a sign inviting people to entertain their fellow travelers. Both times we walked through the building, someone was doing just that. It was magical. 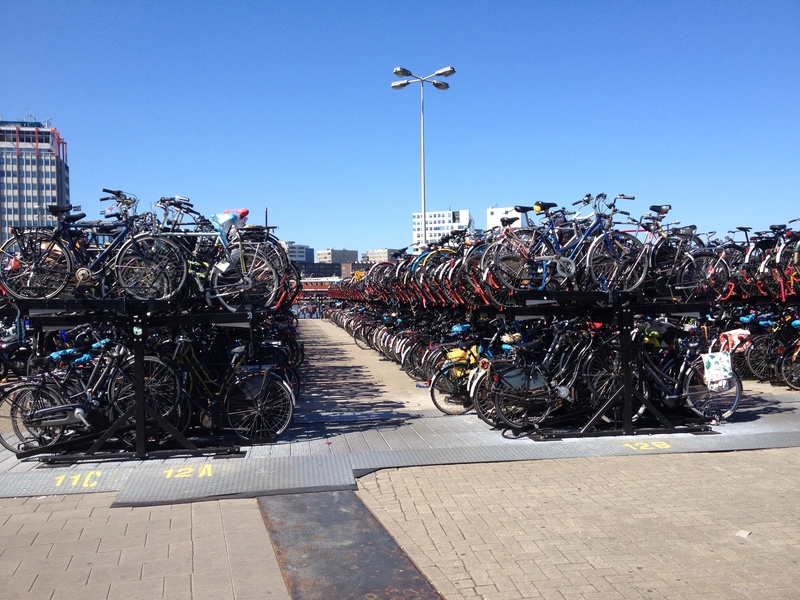 Bikes are also a common mode of transportation in both cities, especially Amsterdam, as proven by this multi-story bike parking lot near the ferry dock. So I was surprised that the bicycles people rode were often old and appeared exceedingly heavy. 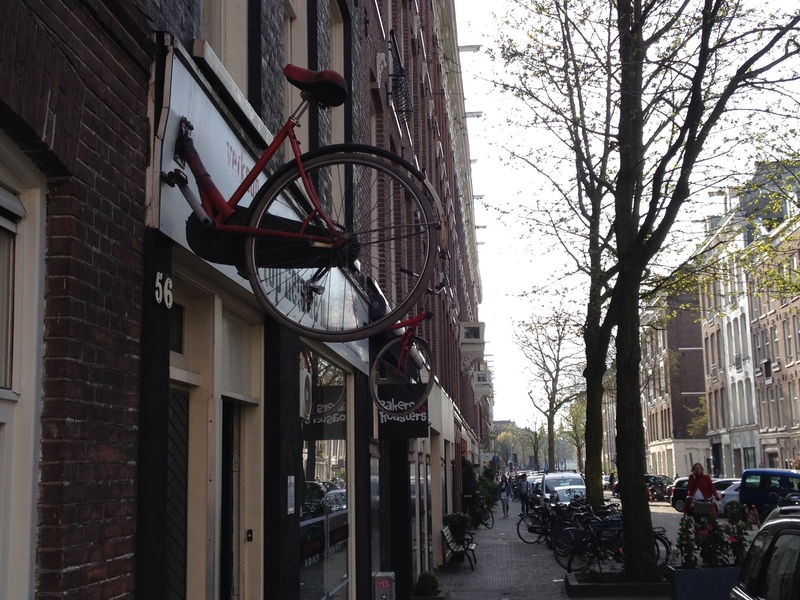 The ones in Amsterdam were especially ancient — rusty one-speeds weighed down by multiple locks weighing at least five pounds each. (I picked one up when no one was looking.) Many had boxes on the front or back for cargo, and we saw some with what looked like a wheelbarrow on the front, sometimes with bench seats for kids. These were working bikes, all right, and we never walked far without hearing a brrrring warning us to get out of the bike lane. 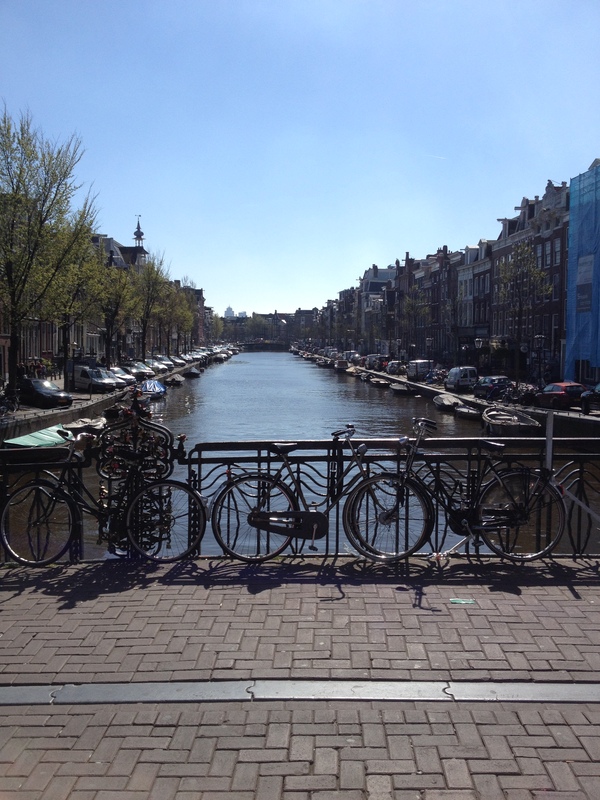 Every bridge had bicycles chained to it, sometimes two deep, and there are a lot of bridges in Amsterdam. It was very cool. 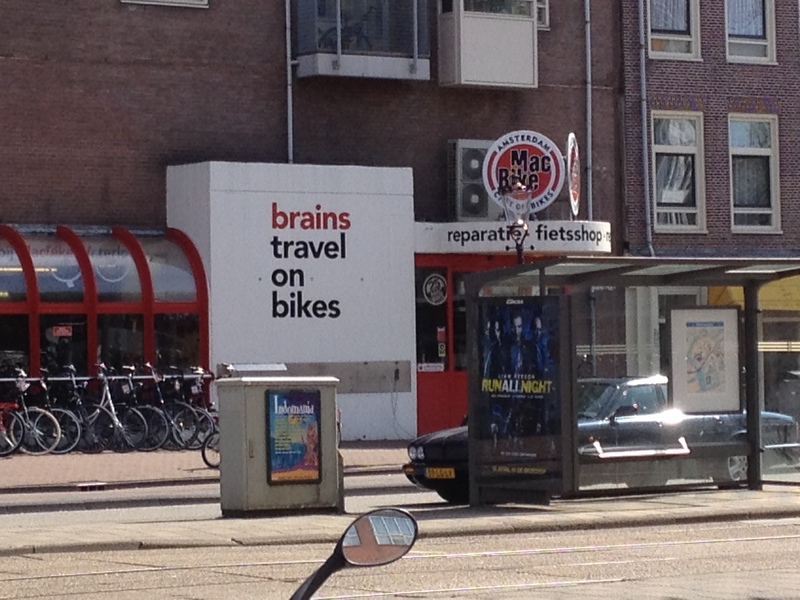 As was this sign for a bike shop on our street. And this one, near a brewery we visited. 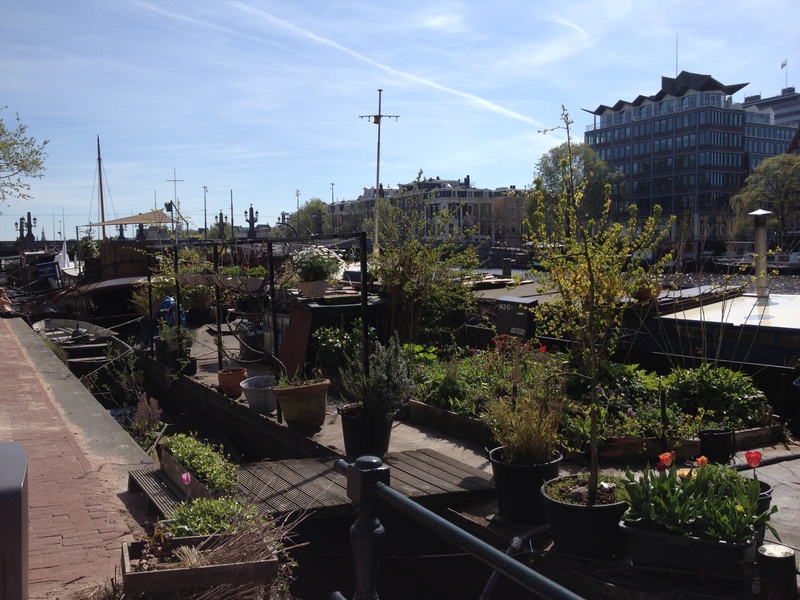 I also loved the variety of houseboats we saw in the Amsterdam canals, especially those with gardens like this one. 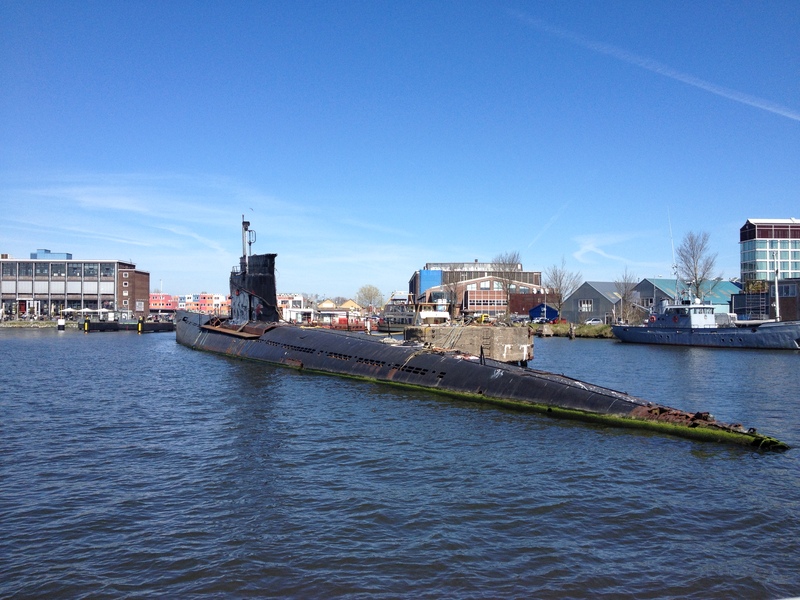 On our ferry trip, we even saw an old submarine, which The Engineer said was Russian. 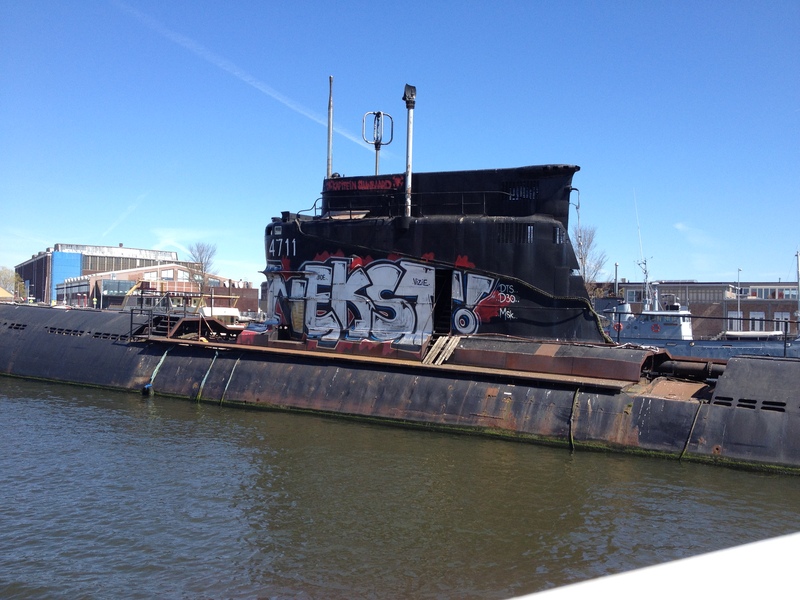 What it was doing in the IJ River in Amsterdam was anyone’s guess, but here it is. 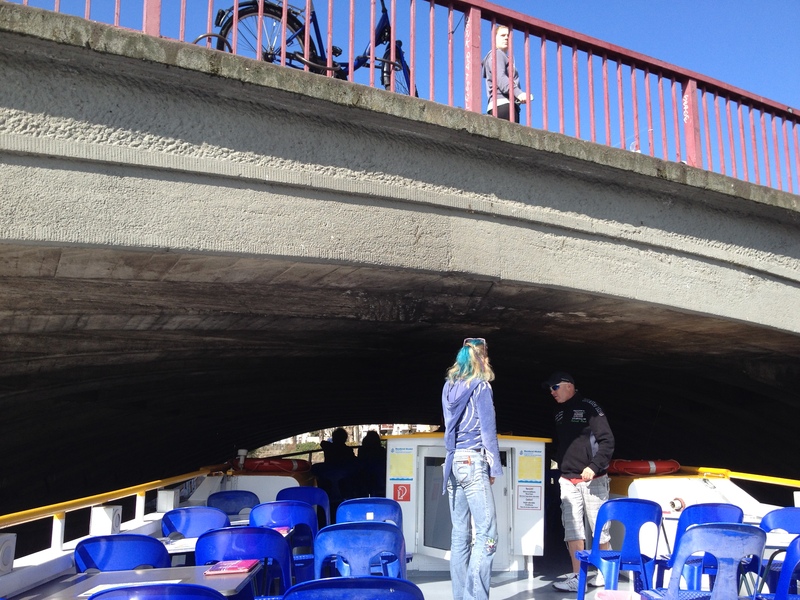 We took the three-hour bridge tour, which lived up to its name. 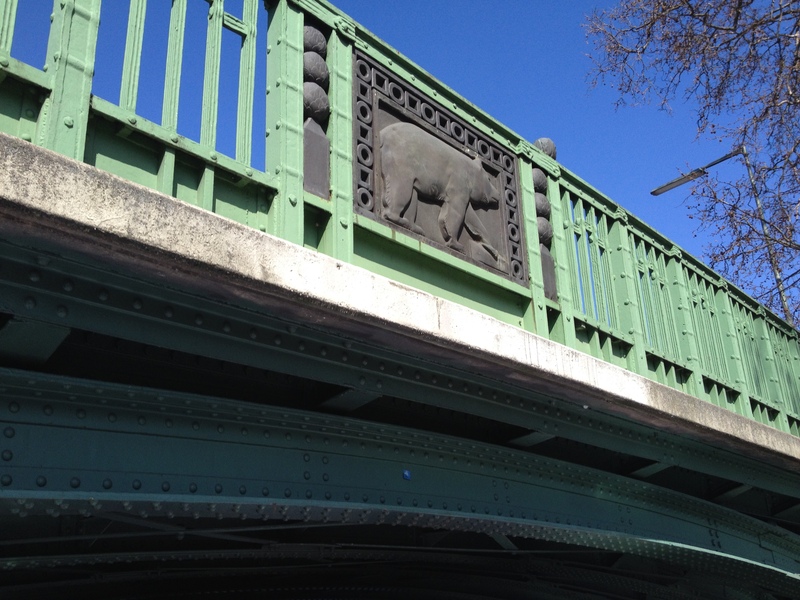 Many of the bridges we went under were very low, including this one featuring the Berlin Bear, a symbol of the city. 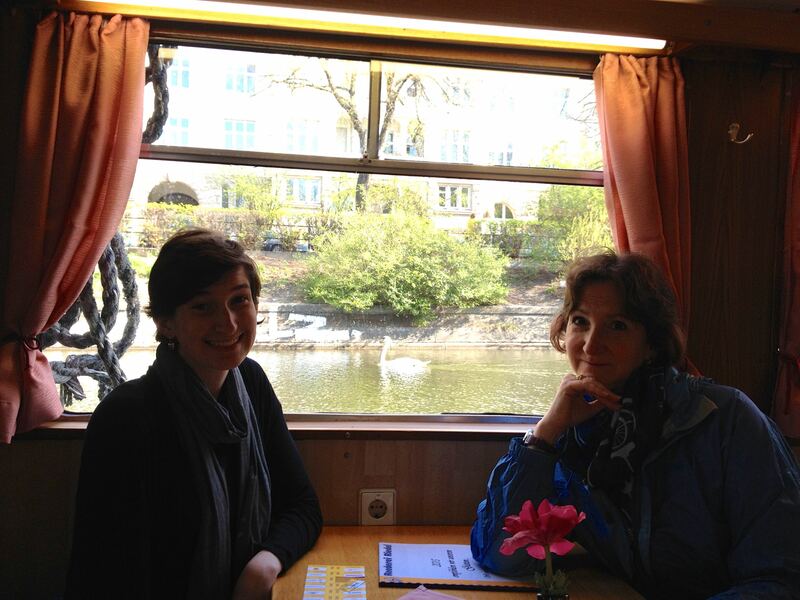 The Engineer spent several minutes composing this picture of me (sans sunglasses), Darling Daughter, and a swan. Of course, planes figured largely in our trip, getting us across the ocean and back, but also in a variety of other, sometimes unexpected, places. There was a replica of a Fokker hanging outside a coffee shop at Tegel Airport, which I’ve not included here, and this glider peeping out from a restaurant along our river tour. 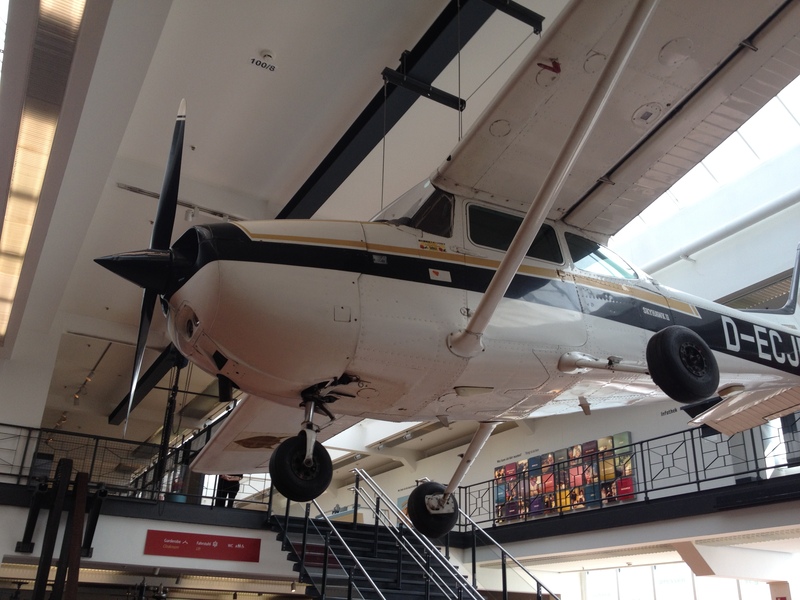 The Technical Museum in Berlin featured a variety of aircraft, including this Cessna 172 which landed in Red Square back in the 80s. 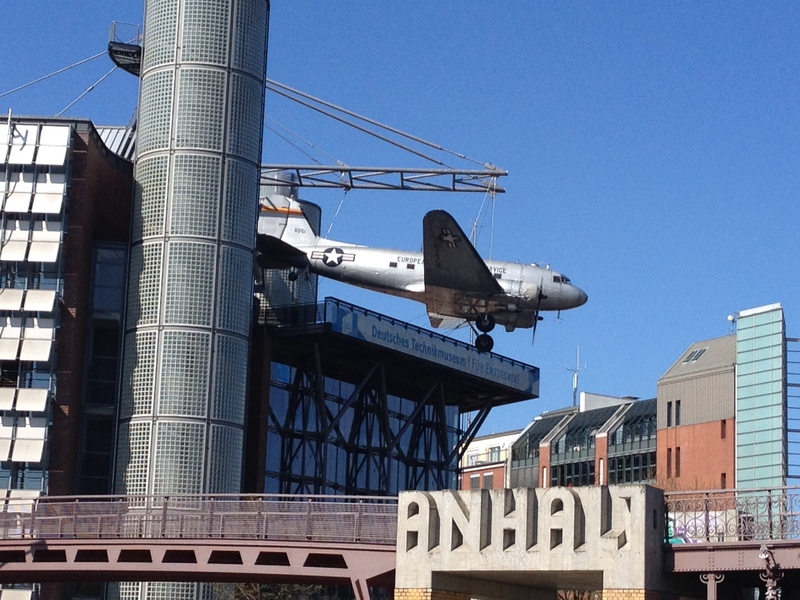 They also have a Douglas C-47, the military version of a DC-3, hanging outside. Here it is as viewed from the river and from directly beneath. 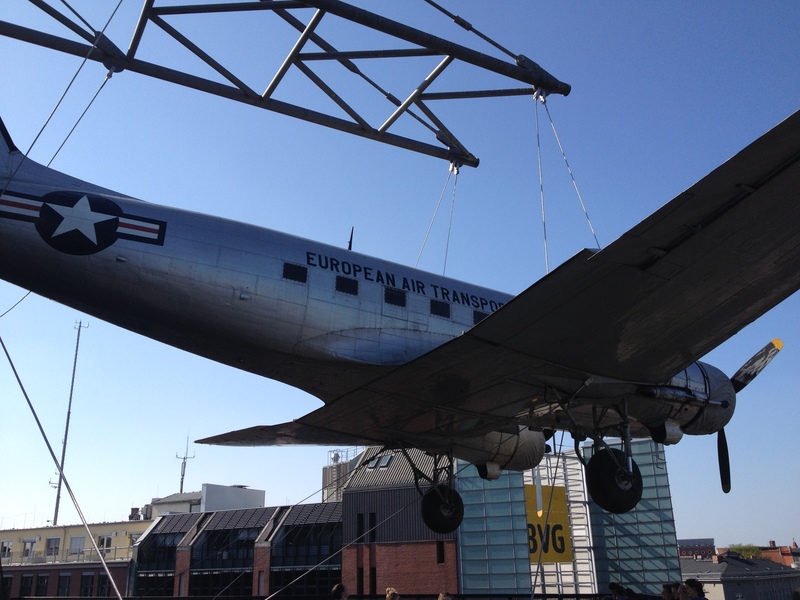 This plane was used during the Berlin Airlift, an episode in history I previously knew little about. If you’re as ignorant as I was, you can read about it here: http://www.spiritoffreedom.org/airlift.html. When the Russians blockaded the city of Berlin after World War II, the remaining former allies developed a plan to supply the city by air. Planes like the one above operated twenty-four hours a day, taking off and landing at Tempelhof and Gatow airports in order to bring in the nearly 4,000 tons of supplies needed by the city residents each day. But read the article. It’s an incredible story. 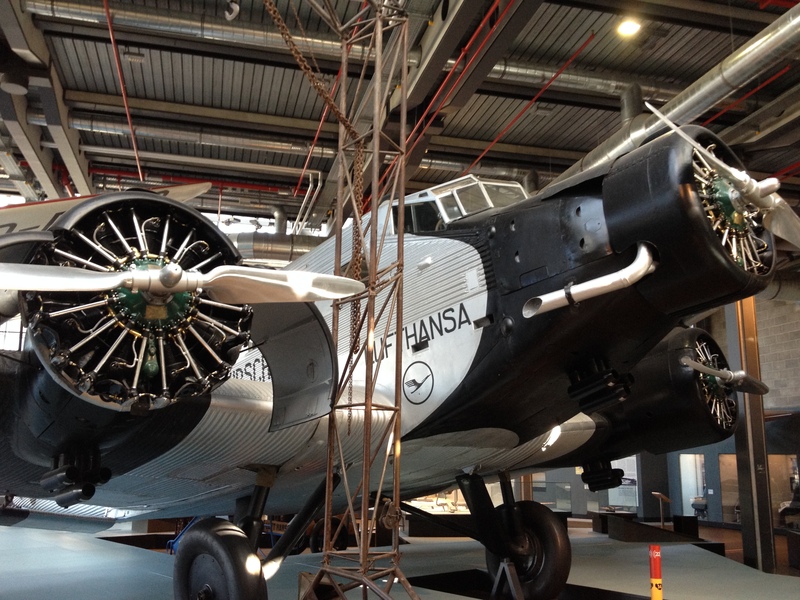 Here’s an early Lufthansa passenger plane, also part of the museum’s collection. 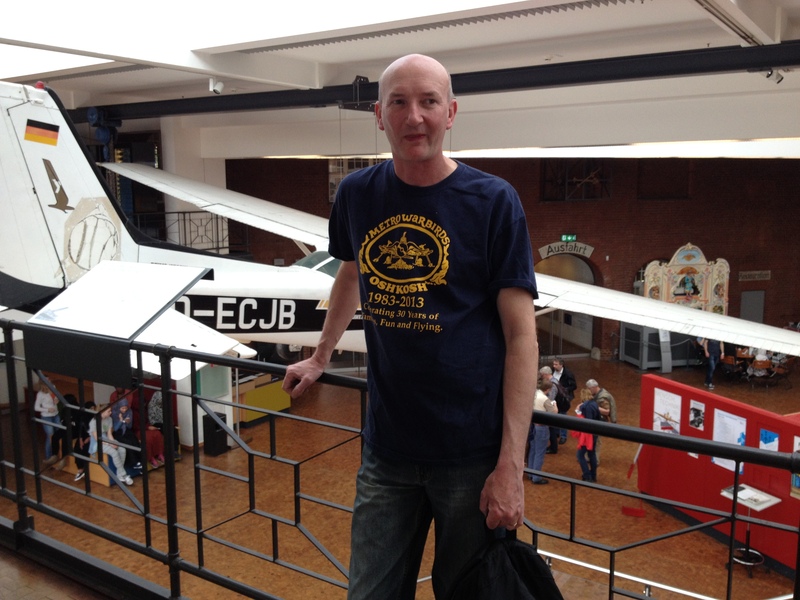 But perhaps the most surprising place we found a plane was at the Rijks Museum in Amsterdam, a place better known for its Vermeers and Rembrandts. 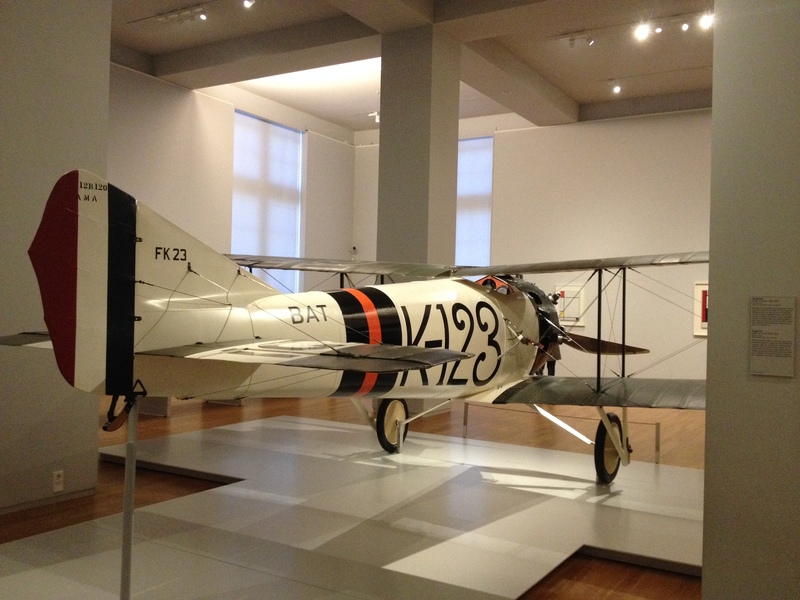 This FK-23 Bantam was in one of the few uncrowded rooms of the museum, probably because to get there required climbing several flights of stairs. And though I enjoyed the rest of the museum’s collection, especially the Vermeers, I must admit finding a plane there brought more surprised delight than any of the paintings. 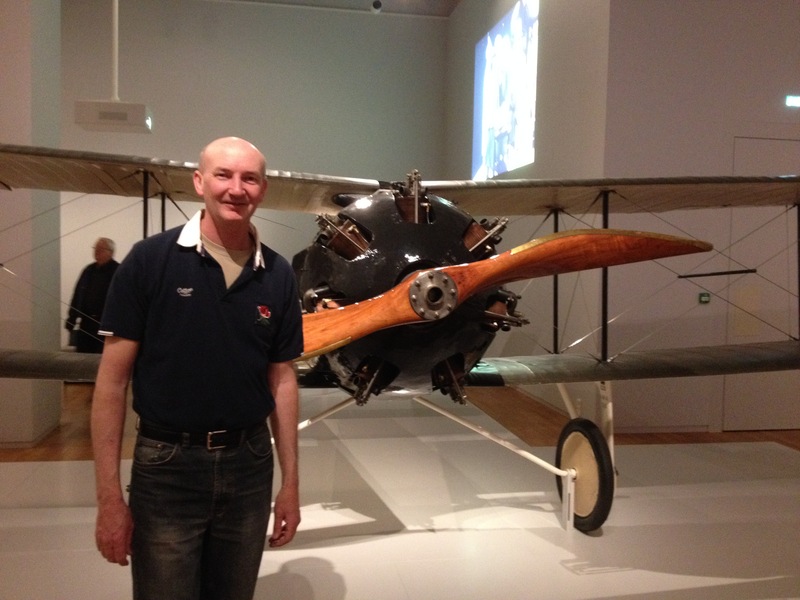 You can read all about it here: https://www.rijksmuseum.nl/en/my/collections/174561–peter-holden/aircraft/objecten#/NG-2011-1,0. Later, we went for a beer at the Brouwerijhe’T IJ (http://www.microsofttranslator.com/bv.aspx?ref=SERP&br=ro&mkt=en-US&dl=en&lp=NL_EN&a=http%3a%2f%2fwww.brouwerijhetij.nl%2f), also known as the Windmill Brewery. It’s a fine place to drink a locally made brew, although there was some confusion about whether or not they took plastic. Apparently, they do, but only debit cards. When we pointed out that the card we wanted to use said “Debit,” they said, “Not that one.” Go figure. Anyway, we paid cash for a couple of beers and some locally made cheese (eaten with celery salt — delicious! ), found a place to sit outside, and settled back to enjoy. A few moments later, three men sat at the end of our table. From their clothing and speech, it was clear they were American. Within minutes and before they even mentioned flying, I pegged them as airline pilots. They sounded just like a couple of our friends who fly for the big boys and love to swap tips on where to go when they’re in a particular city (though our friends are not the show-offs these guys were). It was all Man, there’s a great little place in Paris. It’s down this alley, looks like a real hole in the wall, but they serve the best Bloody Marys. The bartender used to be a model. He’s a real tall dude, and he’s married to this girl, I think she was a model too. 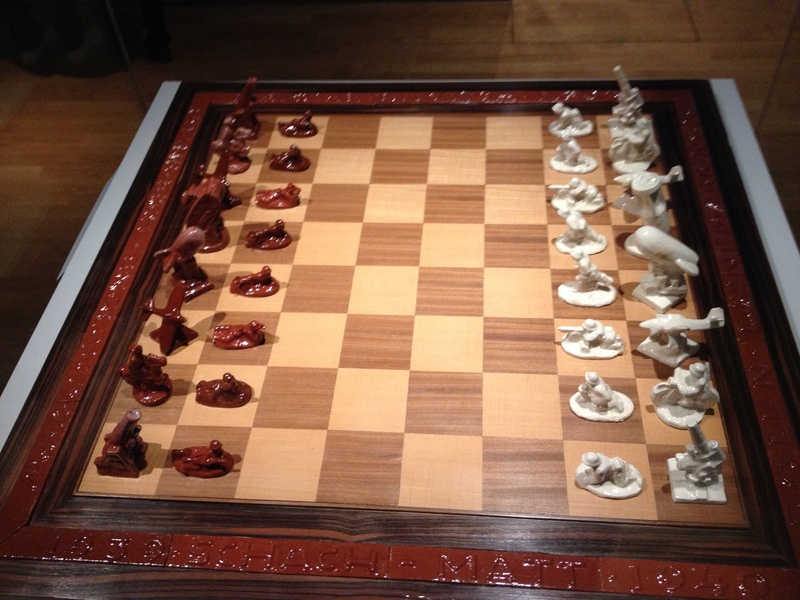 Next time you’re in Paris, you should go. They’ll take care of you. This would be countered by something like How about that place in London? You know the one with the chick with all the tattoos? And Yeah. Kinda reminds me of a cafe my wife and I found in Costa Rica. Run by a couple of ex-hippies. I was quickly proven right when the conversation turned to landings and flaps and cabin crews. 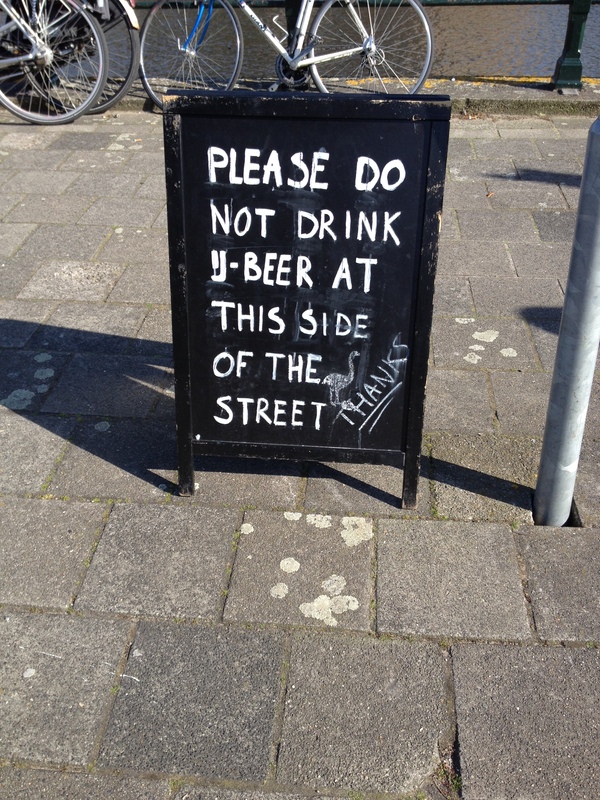 When we finished our beer and walked toward our bus stop, I saw this sign, which made me laugh. 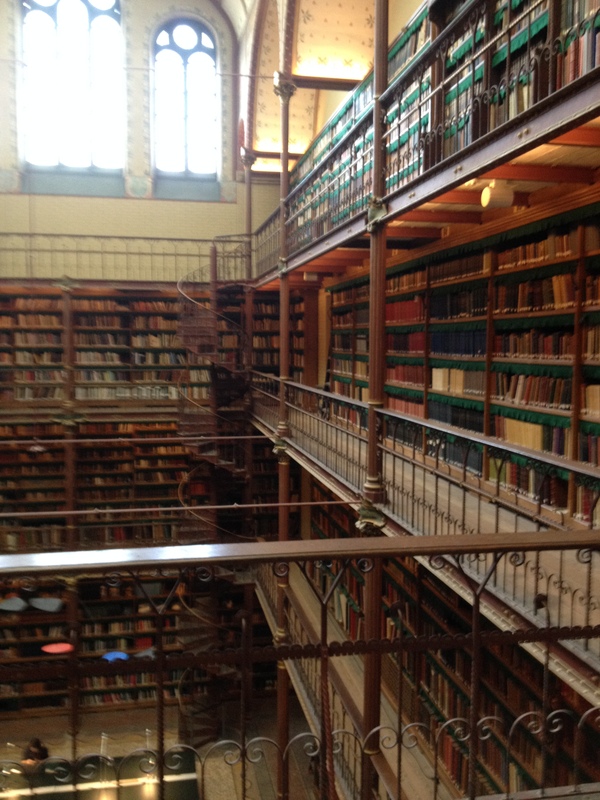 I’ll end by returning you to the Rijks with a librarian-like reminder that you learn all about these forms of transportation at your local library, although your local library probably looks nothing like the glorious one at the museum. Shhh! They enforce the silence rule. 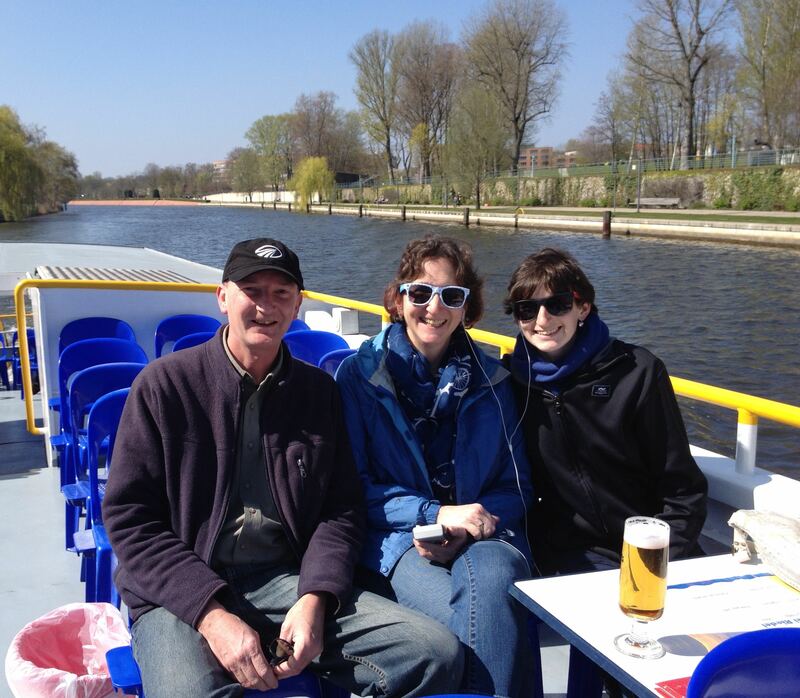 A few weeks ago, The Engineer and I went to Berlin to see Darling Daughter who is spending a semester there. It was wonderful. Not only were we able to spend time with our beautiful girl, we also got to explore a city neither of us had previously visited. Shopping for food in a country where you don’t speak the language is a small adventure. One grocery store visit reaped an interesting mixture, when the pack of what we thought were breakfast sausages turned out to be more like small kielbasas and the bread rolls proved to be the type you need to bake. This was a problem. We had a stove, but no means to light the oven. So I split the sausages in half and grilled them in a pan, then did the same with the rolls. These were served up as sausage sandwiches complete with garlic butter. We didn’t mean to buy garlic butter, but when we opened the foil-wrapped stick, that’s what it was. The cheese was better, a hunk of “Old Amsterdamer” that was delicious on the remaining rolls, with (garlic) butter and cucumber slices. Maybe that’s the trick to grocery shopping in a foreign language — only buy fruit and vegetables you can easily recognize. Still, where’s the adventure in that? The “Mexican” cuisine we tried in Berlin was equally unusual, chorizo quesadillas, beautifully presented with a lovely little salad and artistic drizzle of sauce. The chorizo, however, tasted more like our breakfast sausage than any chorizo I’ve ever tasted before. Again, not bad, just not what we expected. On the other hand, we had a wonderful dinner at a tiny Nepali/Tibetan restaurant in our neighborhood (Kreuzberg). And the Wiener Schnitzel at Felix Austria (also in the neighborhood) was incredible, served up with creamy potato salad and vinegary cucumbers. 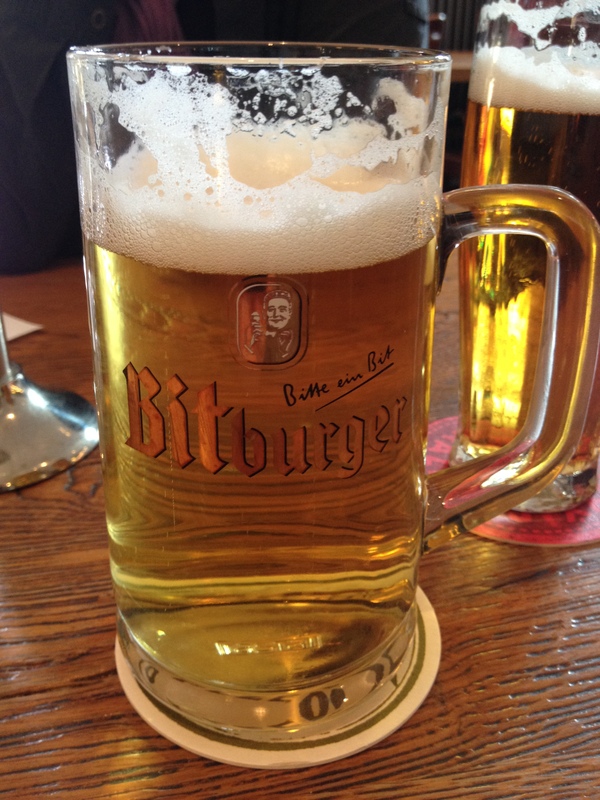 German beer is also as good as you’ve heard, especially if you’re a fan of lagers and pilsners like me. It’s always served in the glass appropriate to the style and brewery. 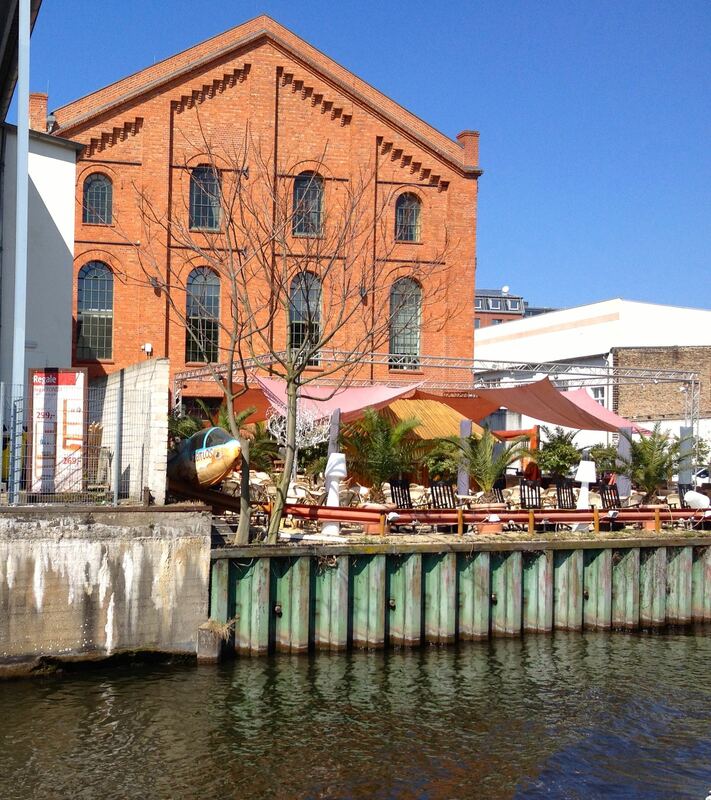 I loved Berlin’s cafes, where we were able to enjoy latte macchiatos and beer nearly every day. I’m not sure why we Americans make such a distinction between socializing over a beer or visiting over coffee, but I’ve noticed it’s nearly impossible to get a good one of both at the same place in the U.S. In Berlin, cafes are clearly an integral part of the city’s culture, with fresh flowers on the tables and snuggly blankets so outdoor customers can enjoy fresh air even when the weather is brisk. It’s also not uncommon to see someone drinking a beer while waiting for a train or enjoying the sun in a small city park, often carefully setting the bottle near the waste container for the city’s homeless to retrieve and cash in for the deposit. Yet during our stay, we saw few, if any, people who were obviously drunk. 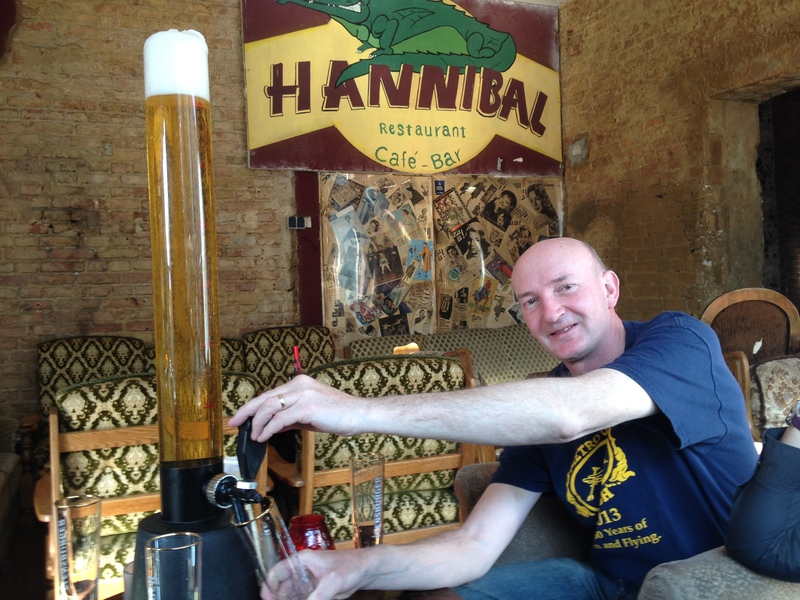 One day, Darling Daughter took us to Hannibal Restaurant, where we shared one of these with her and her friend Kevin. 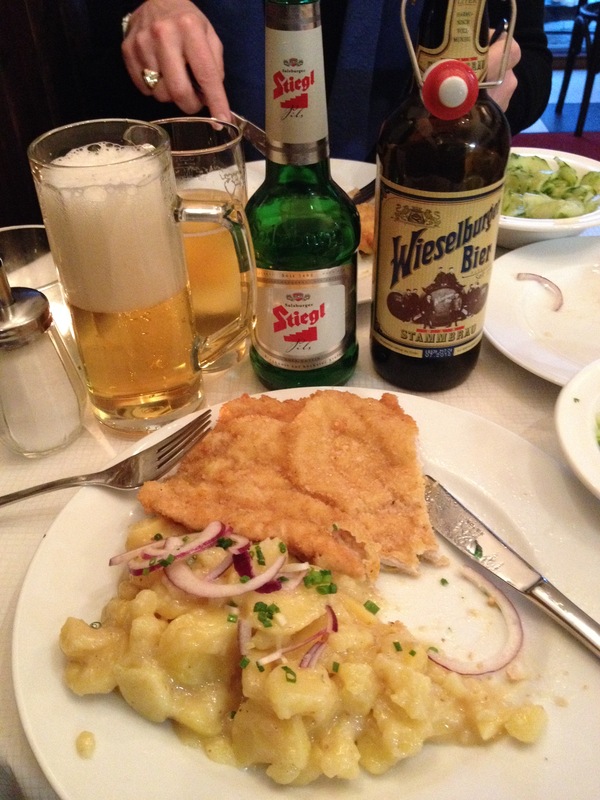 Three liters of pilsner served right to your table. 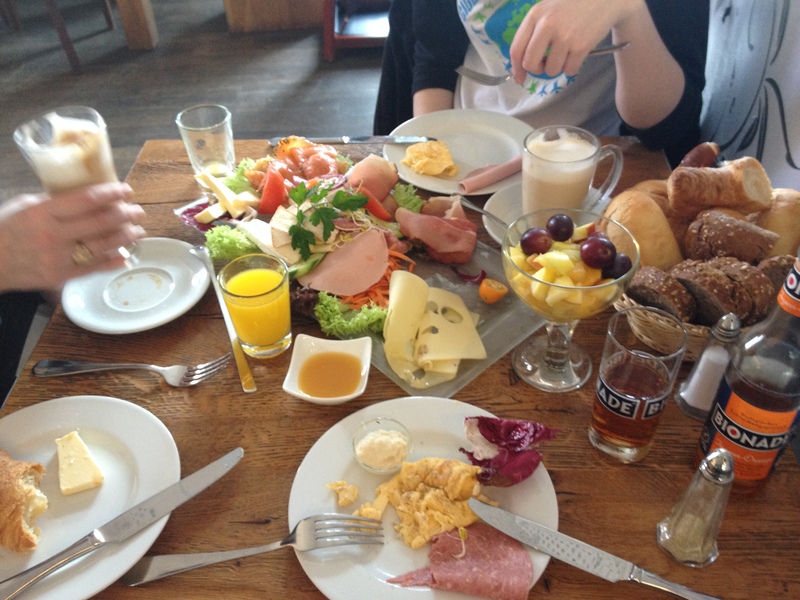 Another morning, we went to a cafe near our apartment for a bit of brunch.. I wasn’t very hungry so we ordered the breakfast for two (see below). Fresh fruit, juice, cheeses, meats of all sorts, salads, scrambled eggs, and a huge basket of fresh bread. Wow! Germany is also known for wine and, on the advice of our AirBnB landlord, we visited a neighborhood wine bar/shop called NOR (Not Only Riesling), which specializes in German wines. It was here I tasted a dry Riesling, something I didn’t know existed. Call me ignorant, but I’d only previously sampled the sweet versions readily available in any U.S. supermarket. If you visit Berlin, be sure to try a Doner Kebab. This handheld meal can be most closely compared to a gyro, but the bread is crustier, and there’s a larger variety of condiments to choose from. Alas, we demolished ours too quickly to get a picture. You must also eat a Currywurst, mainly so you can say you did. This is a German hotdog, served with ketchup mixed with curry powder, with more curry powder sprinkled on top and fries on the side. Interesting, but I’m not sure I’d eat it on a regular basis. Don’t worry about the calories. 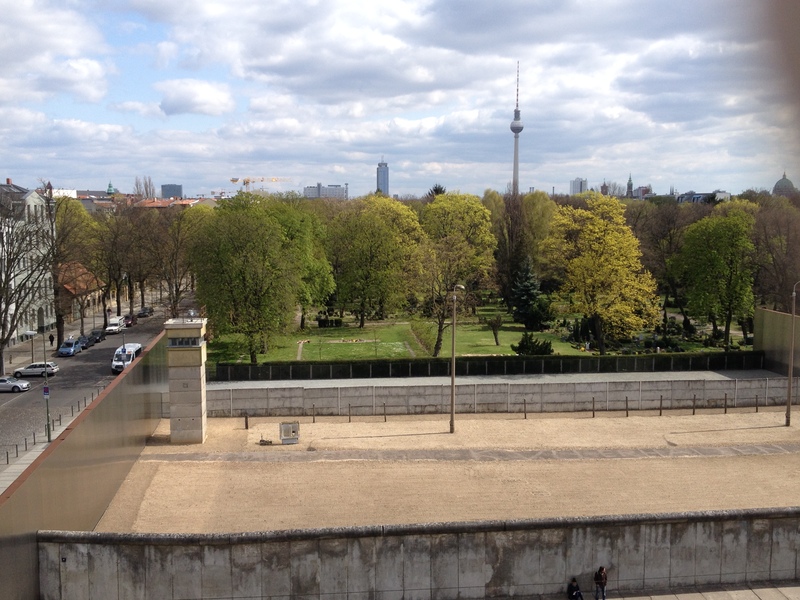 If you do Berlin the way we did Berlin, you’ll walk it off. Reading, Writing, Ranting, and Raving. Recently I’ve done very little of the second but a great deal of the first, third, and fourth. There are several reasons for this. The Engineer and I were selling a house, we spent two weeks in Europe, and our credit card was compromised. I had a major issue with two banks when a check for $50 was treated as one for $5000, and my lovely HTC 1 smartphone died the night before we left on our trip after only thirteen months of usage. I also didn’t final in my writing chapter’s contest, a discovery that hit my motivation like a sliding tackle on a soccer player. I have — as you may have guessed — been a little distracted. Still, the house is (finally) sold. Our trip was wonderful, with lots of time spent with Darling Daughter. The credit card was replaced, and the banks were suitably apologetic, backing up that sentiment with a monetary credit that recognized the frustration and worry their mistake had caused. Verizon, alas, has been less helpful. I ended up spending $40 to use Darling Daughter’s “upgrade,” plus a $15 set-up fee and the cost of a new (not-smart) phone. Verizon’s best offer was a $30 credit toward one of their certified used smartphones. The cheapest one is $219.99. Look, I get the whole twelve month warranty thing. I understand they probably get a lot of people trying to scam them for a new phone. But, I also know that exceptions could be made for, say, long-term customers whose phone died a month out of warranty. There is a bright side. If I replace my old iPod, I’ll still be able take photos and use the apps I’ve come to depend on. This will cost less than one of Verizon’s used phones, even without their oh-so-generous $30 credit. More importantly, I expect to spend less time distracted by emails and social media. Sending less money to Verizon each month will be a bonus. My daughter is in Germany, thousands of miles from family and friends, in a country whose language she has only begun to learn. I set the expectation that she would have a semester abroad, mainly because such an experience was never within the realm of possibility for me. I wanted her to have an experience that I had always heard was often life-changing. What I didn’t consider was how challenging it might be and how brave Darling Daughter was to take on that challenge. Don’t get me wrong. 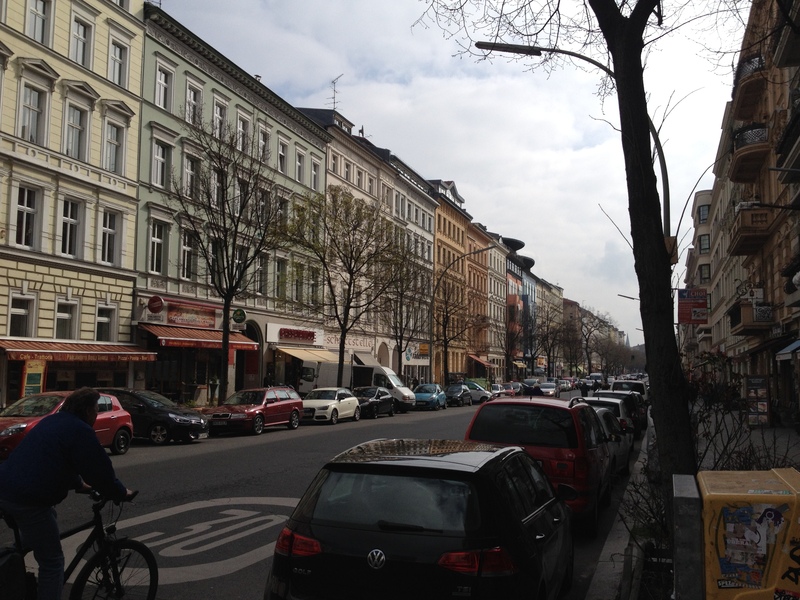 DD loves the city, its culture, and the opportunity to learn German where it’s spoken. 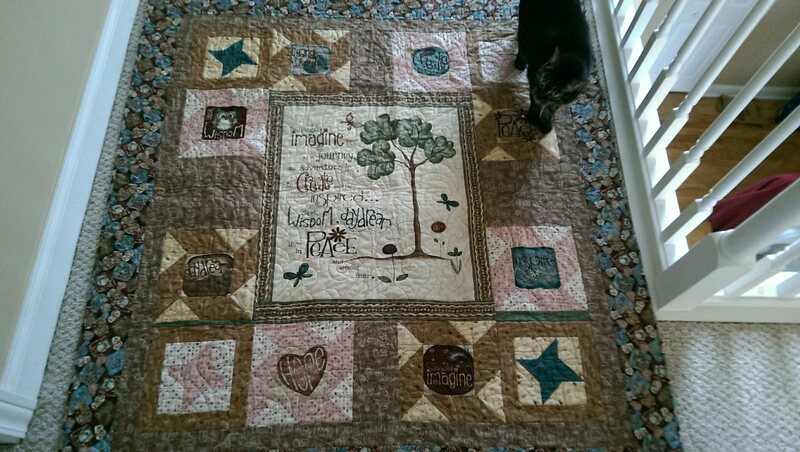 But at the same time, it’s become clear that she desperately misses her family, friends, and even Rosa, our extremely whiny half-Siamese cat. I miss knowing she’s a mere hour and a half drive away, where I can swoop in and rescue her whenever necessary. It doesn’t matter that it’s never been necessary. Added to this is the fact that Darling Daughter is on a budget, and the rest of the kids in her program are, well, not. Finding a way to deal with this discrepancy has been another lesson she’s been forced to learn. She needs a hug, and you can’t hug using FaceTime (although I’m really grateful for that kind of technology). All I can do is listen and spout Mom-isms. Make sure you eat properly. Get a good night’s sleep — things will be better in the morning. Decide what’s most important to spend your money on. Take a deep breath and then another. It will be okay. A cup of tea has long been the traditional means of dealing with problems in our household. There is comfort to be found in the ritual of boiling the water, heating the pot, steeping the teabags, pouring the tea into a favorite mug, and then drinking the warm, familiar beverage. Or perhaps it’s merely taking a few minutes to do something other than dwelling on your troubles. 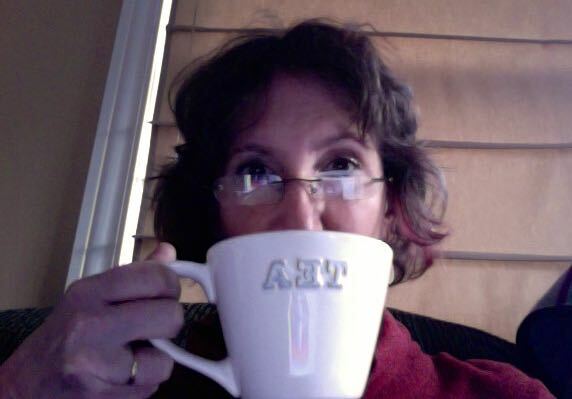 So, my Darling Daughter, perhaps this reminder will help: Be brave, and drink tea. I’ll do the same and think of you.